Patchwork Range: Patchwork range comprises of rugs which bring home a feeling on ancient royal culture. These rustic looking rugs, as the name suggest, have printed traditional designs which are beautiful and made from the softest and richest of colours. Dabberlocks Range: The Dabberlocks range is super luxurious as they are made from 100% polyester. This makes the texture silky smooth and adds a glowing shine to the surface of the rug. These rugs will add warmth and ambience to any living space. Modern Aspects: Tri-tone geometric pattern rise above on these 3D/optical illusion rugs. Modern contemporary designs bound to add a bit of accent to your living space. These rugs are made from 100% polypropylene. Glitter Ball: This range is for you if you would like to create a very bold design statement or would like to live up a dull looking space. These rugs have floral and abstract design patterns to choose from. The rugs elegant embossed pile sculptured motifs offer glorious new texture for sophisticated feet. Pure Design: These polypropylene rugs are available in geometric chequered pattern which looks quite modern and contemporary. 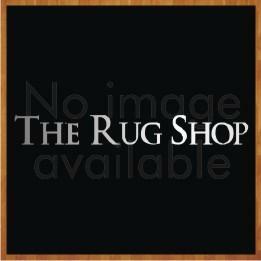 These rugs are made from 100% polylefin and have thick and dense pile. Optical Design: A bold collection strong geometric design, which brings a standout statement to any home. Union Jack: These contemporary rugs are quite famous with the trendy mindset. A must have if you want a different look in your room. These are made from 100% polypropylene. Innocent Shaggy Heathers: These are dense and thick pile shaggy rugs available in solid plain earthy colors. Super soft texture and enticing warm tones of these shaggy rugs will make your home décor a more elegant place. Innocent Shaggy Rugs: Available in solid plain colours and made from 100% polypropylene. Be beguiled by the soft, wool-like sensation of this contemporary rug that is durable, stain resistant and stylish. Classical Range: These intricately crafted traditional rugs are worth looking at again and again. The smooth plush texture complements the culturally inspired tribal motifs. These are made from 100% polypropylene. Antique: Beautiful representation of exotic traditional motifs is lavishly woven into the plush touch of these exquisitely carved rugs. These are made from 100% polypropylene. Eton Plains: Extremely soft under your feet. These high and thick pile shaggy rugs will be the main focal point of your room. Made from 100% polypropylene for long lasting durability. Zig Zag: These rugs feature a trendy zigzag pattern. These rugs are hand tufted to bring fresh perspective and luxurious texture to your floor. These are made from 100% polypropylene. Linear: High quality super luxurious rugs which are designed for modern and contemporary home décor. These are made from 100% wool. This is a fantastic collection of striped rugs. Ultimate Stripe: Available in different colour combinations these timeless striped rugs will attract attention from any onlooker. These are made from 100% wool. Jubilee: Handcrafted super luxurious rugs made with traditional designs. These are made from 100% wool. These Aubusson style rugs are delicately carved for velvety vibes. Regal: Invitingly velvety to the touch. These are classic and elegant hand carved rugs which bring regal splendor and delight to any room.